As the leaves change colors and the days shorten, active families are pressed to find other ways to have fun. Kids, especially, need an outlet to run around and burn off all of that energy. Cooler temperatures in Washington during this time also limit the range of activities you can do. Children thrive on excitement, and a fall-time adventure may prove to be a treasured memory for years to come. Parents looking for a fun adventure for their little explorers in the Bellevue area can benefit from our indoor playground. Funtastic Playtorium is proud to serve as your child’s comprehensive source of fun. Our indoor playgrounds for kids in Factoria and Alderwood provide a safe, expansive adventure that allows you to comfortably spectate as your child runs free. While an indoor play area may sound like the perfect kid’s birthday party idea, it can also be utilized for free fun any day of the week. We love being active and engaged with our children, and know that many of our customers strive for the same level of adventure. 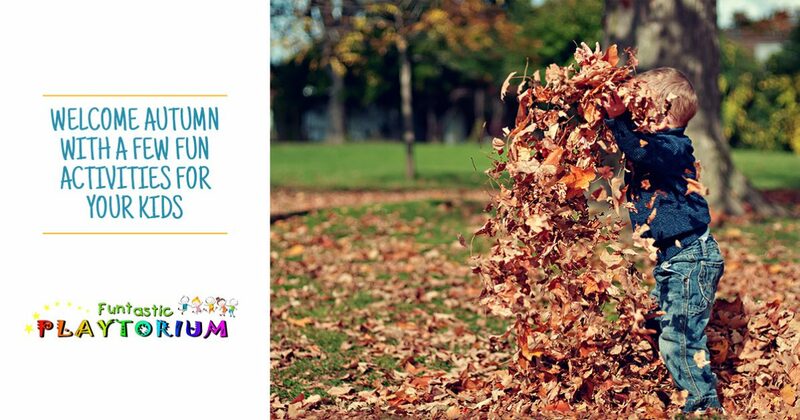 Today, we’ll highlight a few autumn activities that may prove to be the perfect activity for your family this weekend. If you’re interested in learning more about the quality of our kids’ indoor playground, be sure to contact us today! Washington is home to some of the best sights during the fall, including the dynamic foliage colors. Our state is also home to thousands of beautiful trails and open spaces, providing the perfect place for you, your spouse, the kids, and the dog to roam free and explore the beautiful sites and captivating views that Cougar Mountain, Squak Mountain, and other local ranges have to offer. Weather permitting, hikes in the fall can provide the perfect mixture of warmth and cloud cover, so be sure to plan your trips accordingly! Everyone loves the excitement of fall, so why not spend a day running around and having fun? Locals know the taste of fresh apples picked from a local orchard. Washington is home to numerous U-pick orchards, allowing families to get out and enjoy the fresh air while also collecting tasty produce for future ventures. Things are more rewarding when you do it yourself, and this adventure allows you the opportunity to test your skills as a picker. As a bonus, you’ll be able to bite into the fruits of your labor, both in fresh and baked forms. Every family has their own interests, making this idea perfect for those with more exacting hobbies. A range of festivals sprout up during this time, delivering a medley of education, goods, and services to help those interested in the endeavor. Whether you’re interested in the awe of the Festival of Pumpkins or the flavor of the Northwest Chocolate Festival, Washington is home to a celebration for every home. Based on how eager your kids are to get out and explore, you can schedule numerous festival stops over the coming weekends. Our team has found great joy in enjoying the state’s best festivals, and we’re confident that you will, too! One fun and cost-effective way to get everyone out and about is to create a scavenger hunt. Now is the perfect opportunity to get into the fall spirit with themed adventures, from football gear to Halloween-related clues and more. As the parents, you can tailor the scavenger hunt to match your child’s current level of skill, including age-related math problems and riddles. Every child is different, so be sure to tailor the theme to meet your little one’s interesys. Creating a large-scale hunt can also incorporate more elements of the outdoors, getting everyone in on the fun. While all of the activities we have mentioned are fun (and tiresome! ), keep in mind that the weather along the Pacific Northwest can change quickly. Regardless of the temperature or precipitation, Funtastic Playtorium is here and open to children aged 10 and under. Our indoor playgrounds serve the Bellevue area, providing a safe, engaging environment for your little ones to run free. We host private parties and birthday parties as well, providing the perfect place for all of the kids to have a fun time. Contact us today to learn more excitement of our indoor playgrounds!